How Can An Immigration Lawyer Help Me? Becoming a legal citizen isn’t an easy process. It can take years to become a legal citizen in America, which is why it is best to hire an immigration lawyer to ensure the process doesn’t take longer than necessary. Even when you have family members in America, that doesn’t mean you’re automatically able to get a green card to allow you to stay in the country. When you’re an immigrant, you need to have someone on your side fighting to ensure you can become a citizen. 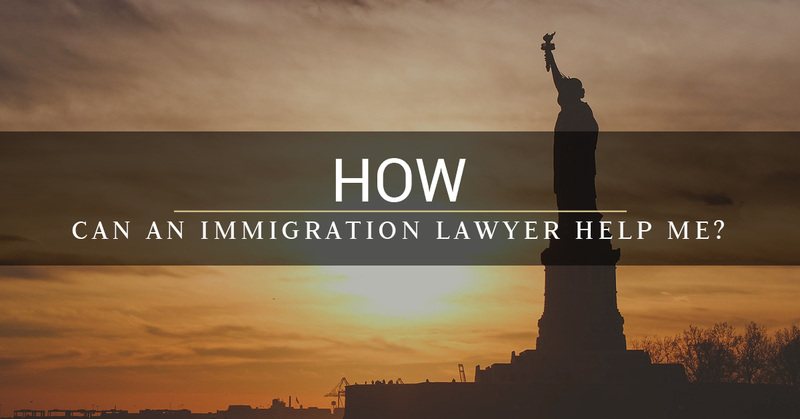 By appointing an immigration lawyer, you’re able to do just that. Not only will an immigration attorney fight for the rights of your family members and yourself, but he or she is qualified for your case so there’s a higher chance the process will go through with ease. If you’re an immigrant living in America, especially right now, then to ensure you become a naturalized citizen, take the time to contact an immigration lawyer. At Zohar Law PLLC, we strive to do everything we can for our clients. With an expansive amount of knowledge about immigration in the United States, we’re proud to help every immigrant that comes to us for our services. Sometimes, one might think it’s easier to go through the naturalization process without an immigration lawyer, especially if they are tight on funds. We understand that as a newcomer to America, you don’t have as much money as you’d like, which is why we do Pro Bono work for qualified cases as well as offer affordable services. Our main goal is to help you out and ensure you can stay in the country of your choosing. If you’re still hesitating about whether or not you need a lawyer, check out how we can help you achieve your goals. Additionally, look over our full list of services to see what best fits your agenda. A lot of applying for a citizenship is paperwork, paperwork, and even more paperwork. Due to the severe amount of paperwork you’re obligated to fill out, it’s best if you appoint an immigration lawyer for assistance. An immigration lawyer will help you with traipsing through the paperwork as well as ensure you get it right the first time. No one likes to fill out the same exact information over and over and then be told they didn’t do it right and need to do it again. An immigration lawyer will make filling out the visa or citizen application easier, so there is no delay with your forms when they aren’t filled out correctly. At Zohar Law PLLC, we’re happy to help fill out any necessary information. If you or a loved one is facing a possible removal from the United States, then an immigration lawyer can assist you or your loved one with the removal proceedings. Even if you’re not sure if you will go into a removal proceeding, it’s in your best interest to employ an immigration lawyer so you don’t have any surprises. At Zohar Law PLLC, we strive to keep families together not tear them apart, which is why we want to help you in any way possible if you or a loved one is facing a removal proceeding. If you are dealing with a removal proceeding, then take the time to ask any questions you may have about the process and your strategy to assure you or a loved one that staying in the country is a possibility. As we mentioned above, filling out forms on top of forms is more helpful with an immigration lawyer to explain what’s going on. If you don’t fill out the correct information or you make some mistakes on your naturalization or visa forms, then you’ll come across delays in your application process. Due to the overwhelming paperwork, it can be easy to make mistakes and create delays. Even if you’ve filled out the information correctly, sometimes you can still come across delays when approving your application. A lawyer will help to cut down on delays and they can inquire about any delays that may occur. For more immigration information, continue to read our blog. If you’re in need of an immigration lawyer, then fill out the form below and we’ll get back to you as quickly as possible.